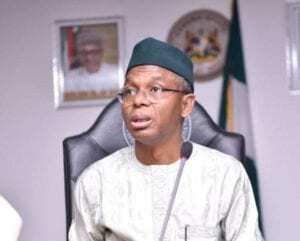 Governor Nasir Ahmad El-Rufai of Kaduna State has said that he did not attack the founder of Microsoft, Mr Bill Gate over Nigeria’s economic recovery and growth plan. Speaking during the closing ceremony of the Kaduna Investment Summit (KADINVEST 3.0) on Thursday, El-Rufai said though, there was nothing wrong in attacking Bill Gate, he never did, but merely put things in proper perspective. He insisted that Gate got it wrong in his opinion on which tier of government should invest more in education and healthcare. El-Rufai explained, “Coming to the economic recovery growth plan, we were all involved in it as state governments and we all keyed into it. The whole idea is that we internalise the plan and support the macro plan. That is what we are doing in Kaduna. We have our own development plan which aligns with the Federal Government economic recovery growth plan. “A few weeks ago, when Microsoft founder Bill Gate came to Nigeria and appealed to the Nigerian government to invest more in education, I made a comment that was reported widely as attacking Bill Gate. It was not an attack on Bill Gate, it merely putting things in the contest. “Mr Gate observed that, in the economic recovery and growth plan, there was not enough money for human capital development, for Health and Education and I did not disagree. What I merely pointed out is that the economic recovery and growth plan has numbers that reflected Federal Government’s investment in health and education. “But the federal government only dealt with tertiary education and healthcare to a large extent. The bulk of education and healthcare investment are subnational because of primary education, junior secondary education and primary health care where most of the problems are, are all within the purview of state government, just like secondary healthcare are all under the state government. “That is what I said, but it was misrepresented to mean that, I was attacking Bill Gate. There is nothing wrong with attacking Bill Gate, we can differ, but that is not what I happened, I merely explained the context, where the investment should be. “But, I must add that, Bill Gate is a big partner, he has invested $1.6billion in Nigeria. And a large percentage of that money was invested in Kaduna State. I will not disclose how much, because other states will be envious.” El-Rufai explained.